Looking for an unforgettable Gold Coast experience? Anacapri 2 Bedroom Apartments Surfers Paradise offer services which will make any guests Gold Coast holiday an unforgettable one. Anacapri Apartments has a variety of apartments, facilities, fun, and friendly staff in their central Surfers Paradise location. This Gold Coast accommodation has Surfers Paradise views and tourists can even hear the sounds of the waves from their apartment; Anacapri family apartments Surfers Paradise is the resort visitors are looking for. Our apartments are strategically located at the heart of Surfers Paradise, near the main street. Everything is just a walk away whether you want to surf, to swim, to get into the party mood or experience an exotic culinary experience. At Anacapri budget apartments Surfers Paradise there are a variety of choices, from one bedroom apartments and two bedroom townhouses; it depends on what is the need and the number of guests who are on their Gold Coast holiday. Both types of accommodation at Anacapri Apartments offer spacious and clean rooms guests will enjoy, as well as appliances to use, just like at home. Our facilities are made for every member of the family for maximum satisfaction and for an unforgettable Gold Coast holiday. 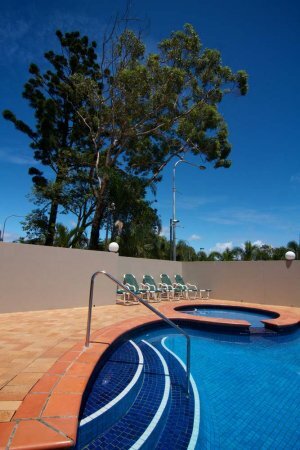 Anacapri 2 Bedroom Apartments Surfers Paradise also has barbeques, swimming pool, gym facilities, spa/wellness centre, sauna and even internet access. The tour desk is available for your inquiries and they have approachable and cheerful staff who will happily organise your Gold Coast activities and attractions. There is a secure underground parking at Anacapri Gold Coast Apartments for each guest and 24/7 security patrol around the resort. It is advisable to book your 2 Bedroom Apartments Surfers Paradise while the peak season is just around the corner, to ensure a room at Anacapri Apartments.